The tradition of the poet warrior endures throughout human history, finding expression in the Bible's King David, the Vikings of Iceland, Japan's Samurai, the Shambhala teachings of Tibet, the ancient Greeks and medieval knights. 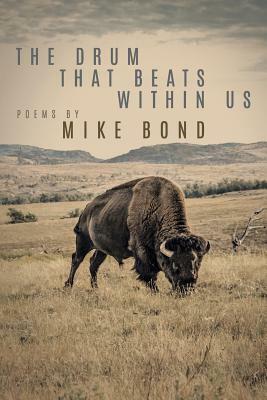 Mike Bond, an award-winning poet, critically acclaimed novelist, ecologist, and war and human rights journalist, is in the same tradition. Initially published by Lawrence Ferlinghetti in City Lights Books, Bond has won multiple prizes for his poetry and prose, and now brings the multitude of his diverse life to his remarkable new book of poetry. His poetry dances between reflections on the majesty of wilderness, the joys and sorrows of love, and passionate expressions of life's greatest existential questions. Prefacing the book is Bond's insightful essay on why poetry is an essential part of cognitive awareness, "how we find meaning in the incomprehensible, beautiful, tragic and sacred mystery of life." Poetry, Bond notes, has existed since our Paleolithic days, found not just in humans but also in the songs of wolves and whales, and an imperative for everyone to enjoy. "Reading poems enlarges our personal awareness of life's exuberance, its terrible destiny," he says. "To learn in our own lives from the visions of others."